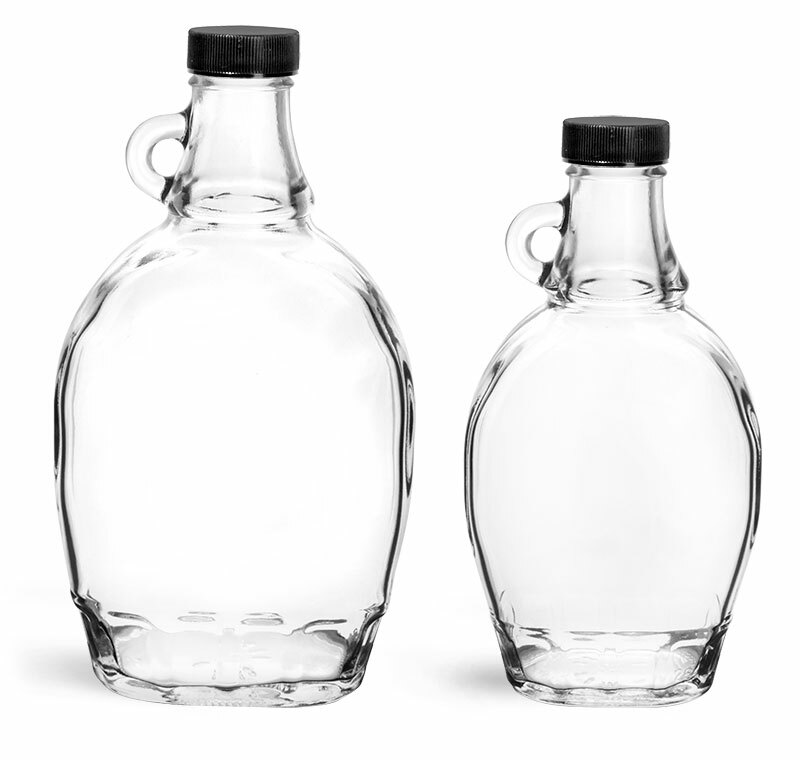 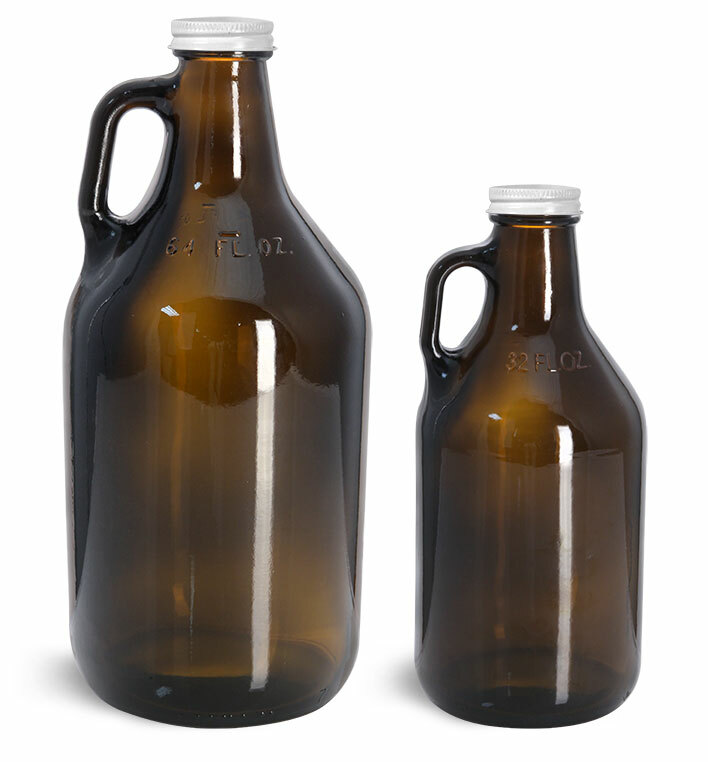 These clear glass maple syrup bottles could provide an old-fashioned look with features that make them a versatile packaging choice. 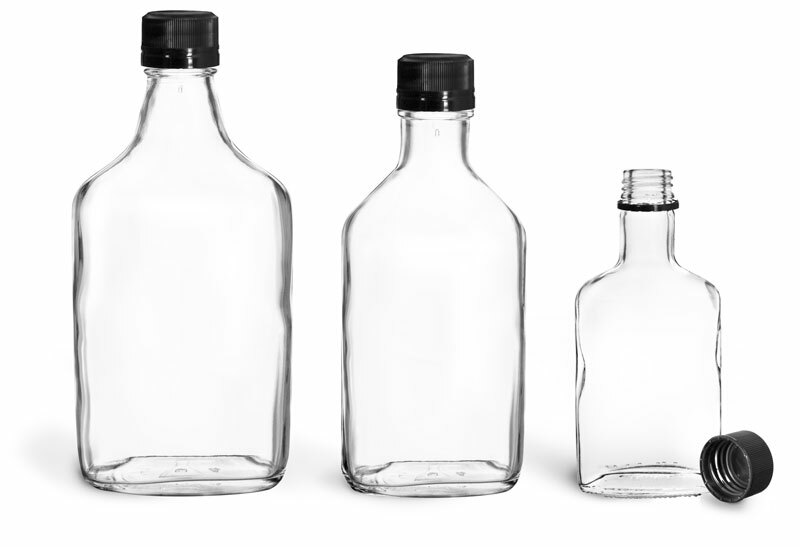 Molded handles, and long, slender necks make for easy use, while thick, sturdy bases give the glass bottles stability, as well as an elevated appearance for showcasing high end products. 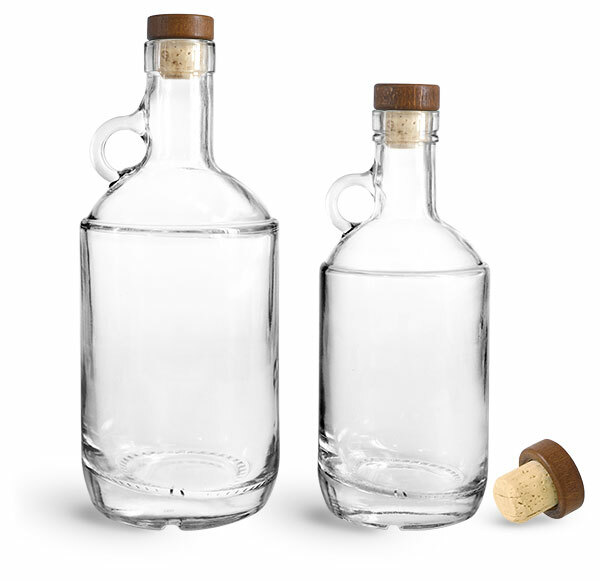 These glass maple syrup bottles are paired with ribbed bar tops with natural corks. 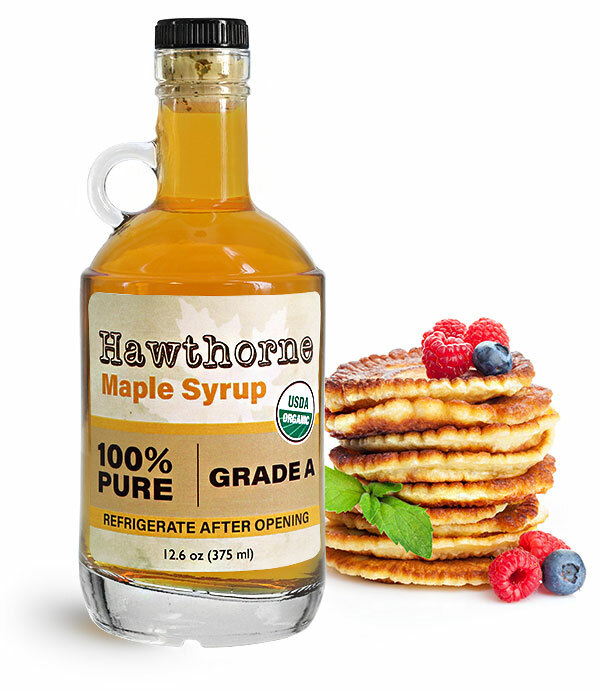 The closures create a secure seal that assists in keeping your maple syrup fresh.